During the making of my book MADE IN AMERICA my niece Elsie came to stay with us in LA. 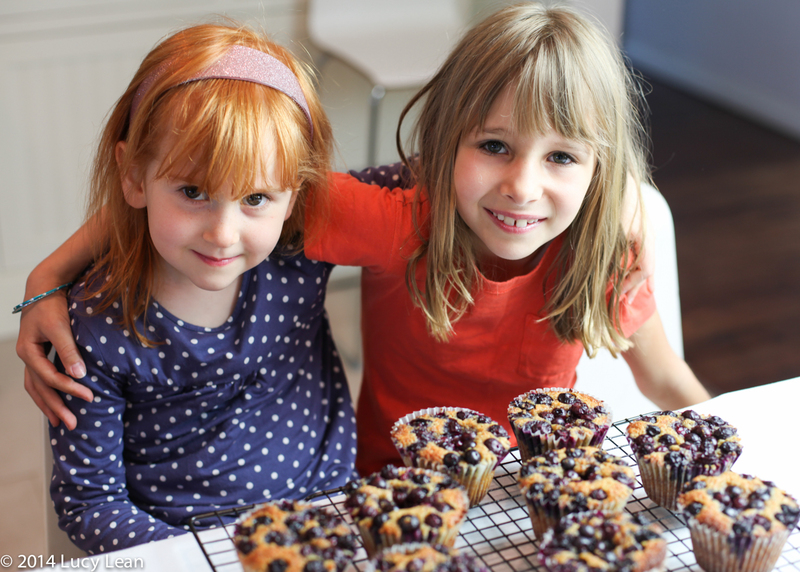 She was extremely helpful at recipe testing and tasting and I videoed and photographed our time together in the kitchen, particularly the day we made blueberry muffins using Zoe Nathan’s recipe. That was back in April 2011. It’s only taken me 3 years to edit the video and post it! Elsie asks all the time when she might be appearing on Ladles and Jellyspoons – so what better time than today, her birthday! Happy Birthday Elsie and I hope you enjoy your video. 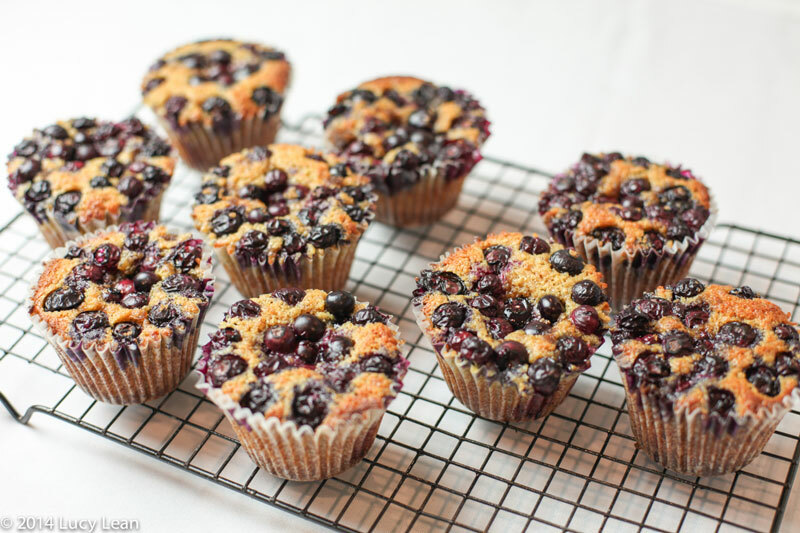 Blueberry muffins are so American to me, perhaps even more so than apple pie which can be found in Europe in many forms: Tarte tartin, apple strusel and apple crumble. Blueberries however are indigenous to America. 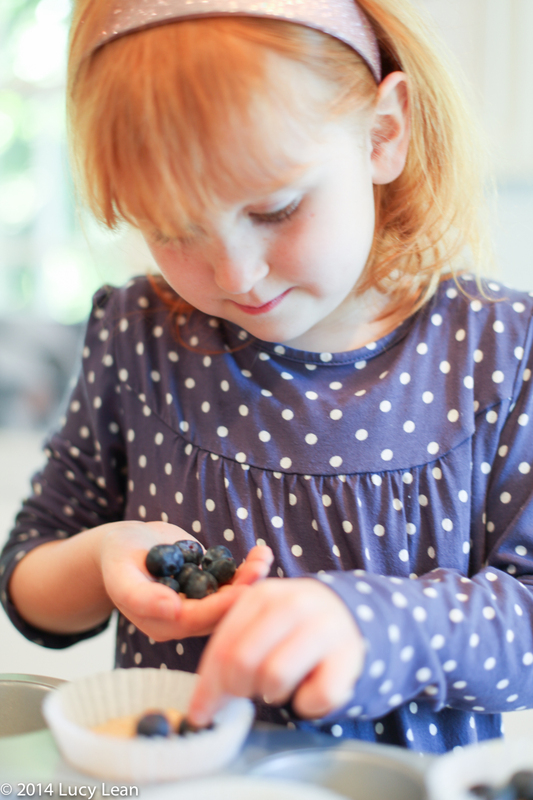 When the European settlers arrived in America they included the new types of available produce in their old recipes—so it’s likely that the native blueberries, found all along the Eastern seaboard, were picked and thrown in to a batch of “muffins” and so the blueberry muffin was born. 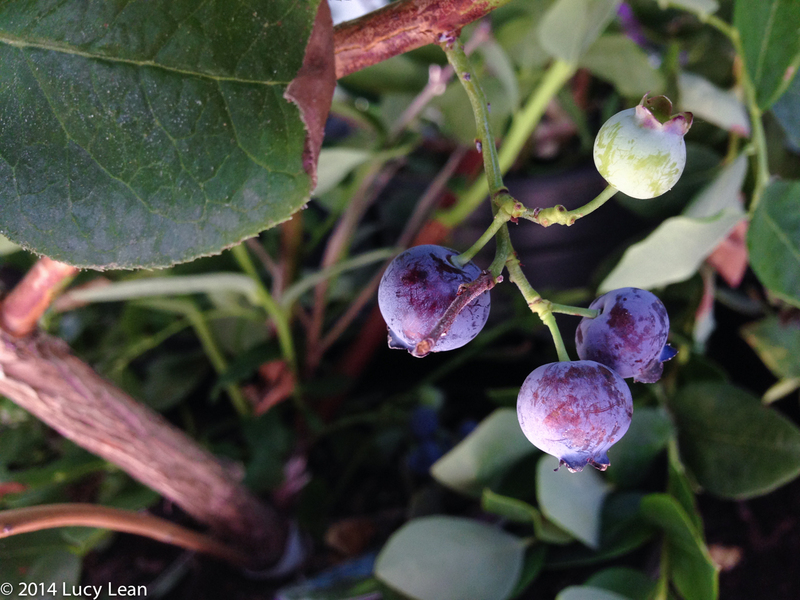 I am in the middle of putting in a new garden – and have included lots of blueberry bushes – they really do well in Los Angeles and are easy to cultivate. 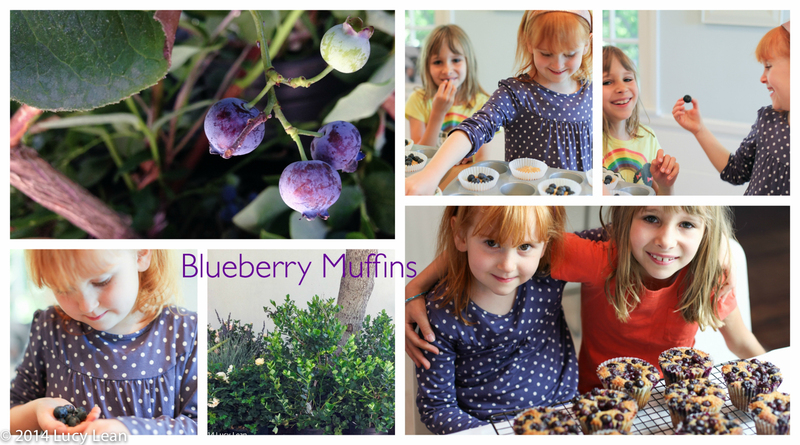 How wonderful to be able to go into the garden and pick a bowl of blueberries ready to top muffins in the morning. Historically the American muffin—to distinguish it from the English muffin—is a much closer relative to a tea cake or Gem cake, being sweeter, with a more cake-like batter often with fruit, spices, and nuts incorporated, and baked in small pans.There is a recipe from How We Cook in Los Angeles from 1892 for Graham Gems—similar to Nathan’s muffin recipe both in ingredients—graham flour being a whole wheat flour like bran, and in the way they are baked in little individual compartments of a special pan. Early variations of muffins and gems included bran and corn, and by the early twentieth century, flavors such as blueberry, cranberry, and apple were common place. 2. 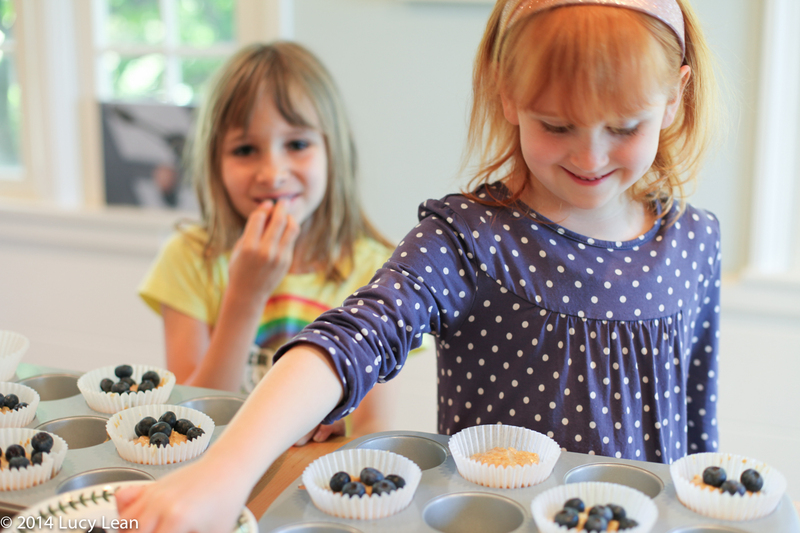 Place cupcake liners in a 12-cup muffin pan. 3. In a large bowl, whisk by hand the butter, brown sugar, and salt. Add the egg and whisk to combine. 4. Add the maple syrup, honey, and canola oil. Whisk until emulsified. 5. Add the flour, wheat germ, baking soda, yogurt, and whisk together just until combined. 6. Fill the muffin cups about three-quarters full. Top with lots of fresh berries. Crumble a little brown sugar on top of the fruit. 7. Bake in the oven until cake springs back and tops are golden brown. “If you don’t have muffin tins, put the batter in a 9-inch cake pan and bake it as a cake then serve with vanilla ice cream. It’s delicious.